This year is all about the greens! In particular, cascading, hanging, drapey, wild and unruly Greens. 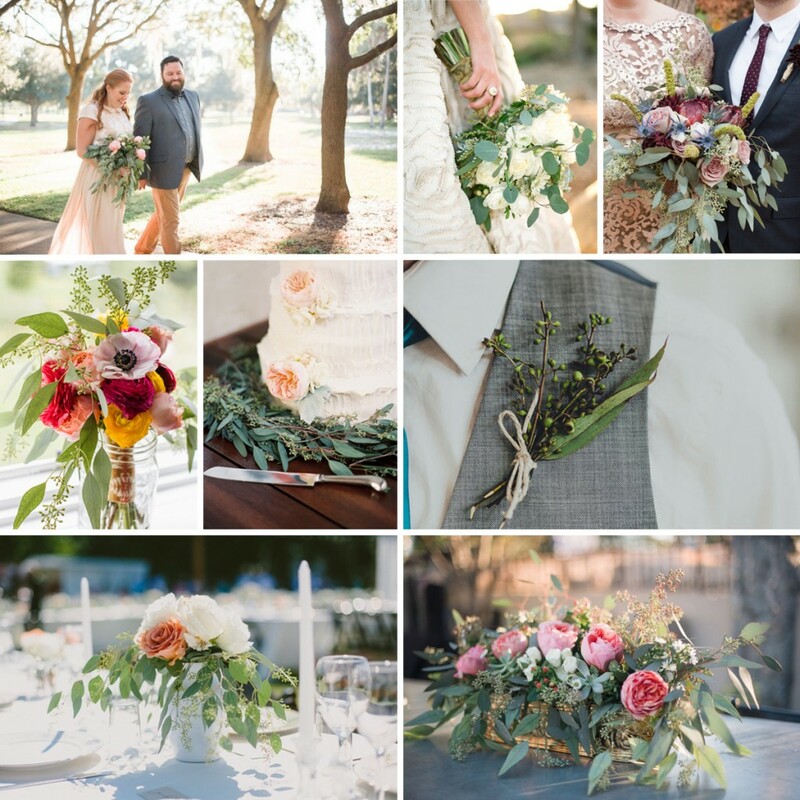 The ones that cascade down from your bouquets and spill out from your centerpieces. The ones that create a look that is carefree and a bit boho chic, or wild and rustic. So, over the next few days, I am going to help you get to know a few of these gorgeous and unruly greens! 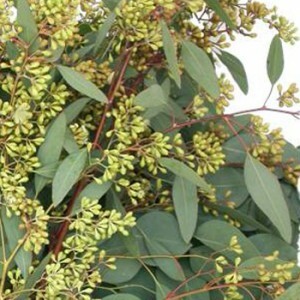 Once you receive your Seeded Eucalyptus, you will need to process the greenery to get it re-hydrating. Just follow these steps for long lasting and fresh greens! Open your box of greens and inspect. If upon first inspection, you foresee a problem, call us immediately at 1-877-507-6737. 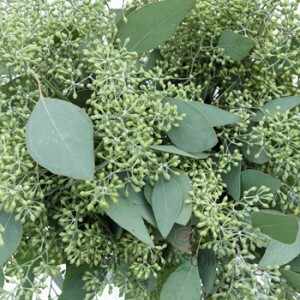 However, it is absolutely NORMAL for your greenery to appear dry and thirsty after its journey. Remove greenery from box by cutting any straps and remove any packaging material, including plastic sleeves and/or newspaper. Allow at least 4 hours to hydrate well, although some greens may take up to 12-24 hours to properly hydrate. Assure that your greens have sufficient water and change water every 24 hours to keep greenery fresh. Stay Tuned this week for more info and inspiration on the different types of Cascading Greens! Save on Wild and Cascading Greens!